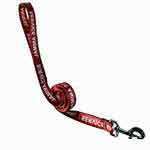 Service Dog Dog-Tags | Lifetime Warranty | Ships Quick! 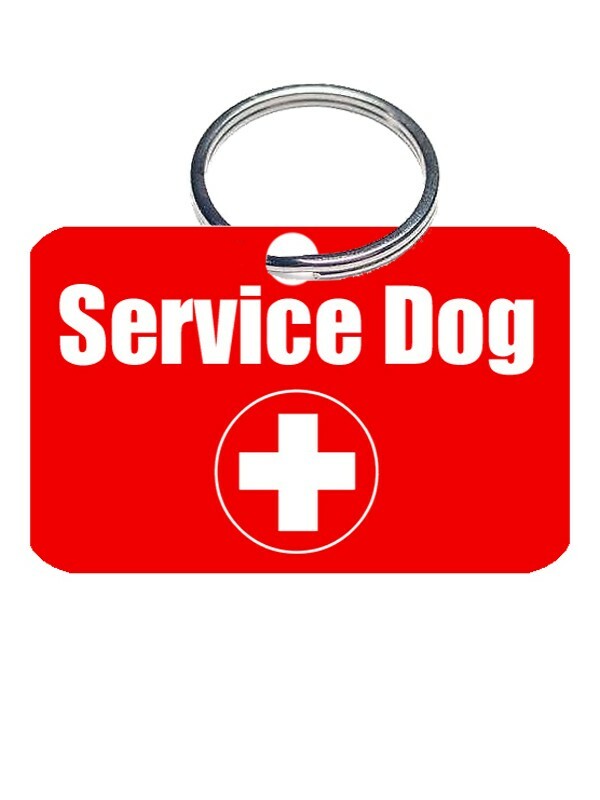 Enable others to quickly identify your dog as a service dog with our highly visible service dog collar ID tag. The PVCA construction makes these tags very quiet and extremely durable. So durable that we guarantee them for LIFE! 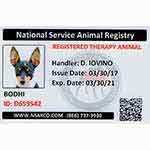 Our Service animal ID tags come with a spit ring already attached. 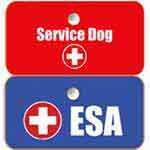 All you need to do is attach it to your service dog's collar to help identify and legitimate the look of your dog. 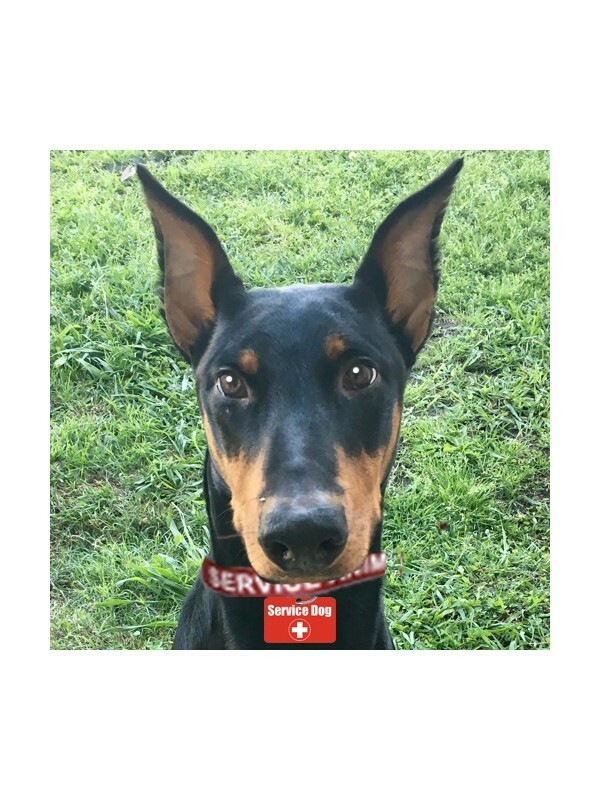 Save $$ when you order multiple collar ID tags. Large tag: 2-1/8" x 1-1/8"
Not just your average dog tag! 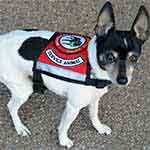 This lightweight 30 mil PVC Service Dog collar ID tags are built to last and are virtually silent. 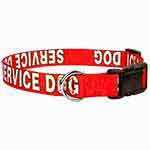 Highly visible, these collar ID tags help others to quickly identify your dog as your working service dog. 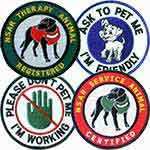 And if you're wondering about how long you can expect these tags to last, NSAR backs service dog ID tags with a lifetime guarantee!